Do you love your face? YES? 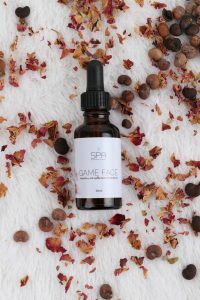 Then you’ll love Game Face by S.P.A.H. Made with ingredients your skin needs for that fresh and supple glow. The part we love? 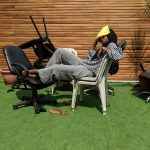 S.P.A.H, a woman-owned Beauty and Wellness Company in Lagos, Nigeria. Read all about this game-changing face oil below. 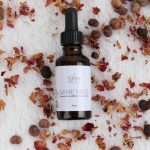 What is in the bottle: Each bottle of Game Face contains 100% active ingredients, all natural no preservatives, no additives, just pure nourishing goodness for a healthy skin glow. The active ingredients are: Jojoba Oil, Baobab Oil and Rice Bran Oil and the essential oils of Rose Otto, Myrrh and Elemi. 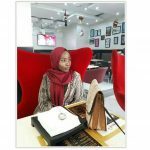 Jojoba is not really an oil, it is more of a wax and that is why it is often referred to as liquid gold. This character of Jojoba is also why it is an excellent moisturizer and skin balancing tonic, it matches the sebum naturally produced by the skin and promotes a healthy glow. Baobab oil is 25% of the Game Face Blend, it is a nourishing, soothing and hydrating oil extracted from the seed of the Baobab fruit. Packed with Vitamin A, D and E, it is extremely fast absorbing making it the best anti-aging oil there is. Baobab oil is also what we call a collagen binder it will stop skin sagging and eliminate fine lines, fondly called the tree of life. Rice Bran Oil is a favorite in Japanese and Korean Skin Care, and gives the skin a luminous and smooth texture that is prominent in Asian women. The oil is gotten from rice husk and is one of the safest oils for sensitive skin, it also contains two of the most powerful forms of Vitamin E, tocopherol and tocotrienol. 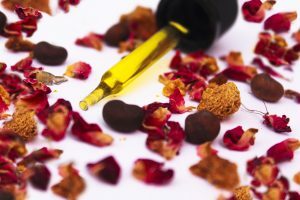 The essential oils in the blend; Rose Otto makes up 6% of our blend, it repairs and restores, Elemi is packed with vitamins to regenerate and Myrrh is a very potent antioxidant the choice of these three essential oils is to create a synergistic blend to ensure the skin enhancing properties of each on is optimized. Game Face Don’t Age. Try it and be the Judge.